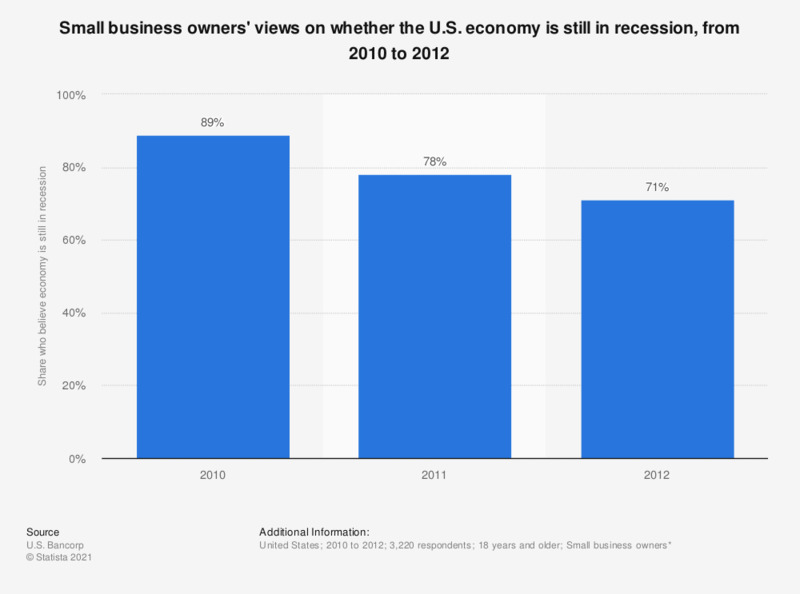 This statistic shows small business owners' responses to a survey question asked from 2010 to 2012, as to whether the U.S. economy was still in recession. In 2010, 89 percent of respondents believed the U.S. economy was still in recession. By 2012, the share of respondents with this view had decreased to 71 percent. * The surveyed small business owners had less than 10 million U.S. dollars in annual revenues. The economic recession makes me less optimistic about the future. To what extent do you agree or disagree with this statement? How did the recession influence your retirement plans?